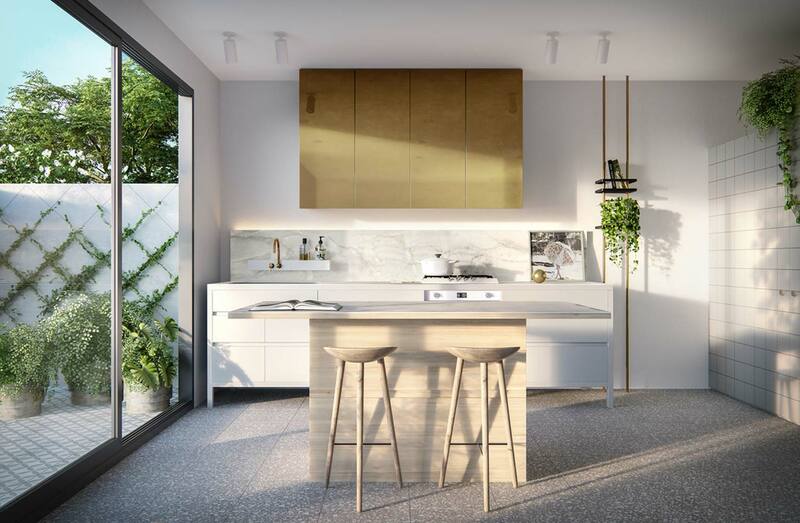 Approaching the art of collaboration with a deliberate and calculated essence of inquiry from the very beginning of the project, each stage of Pine Ave’s conception has been given to unprecedented consideration and deliberation. 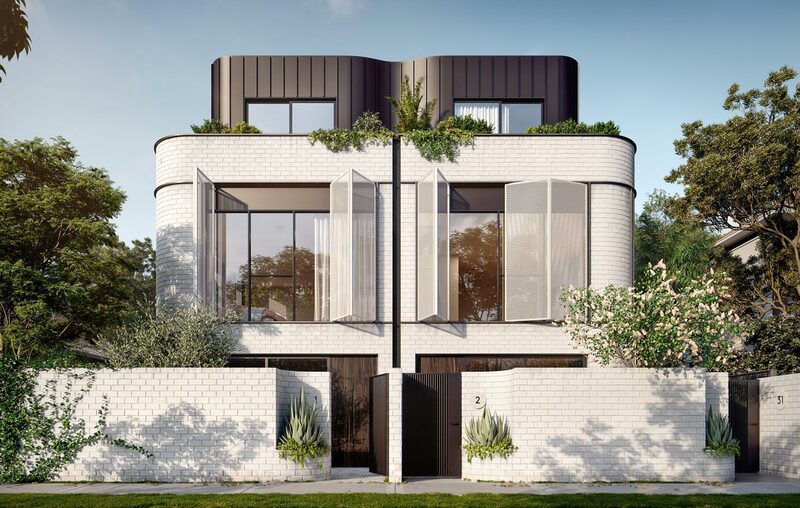 Painstakingly researched, workshopped and visualised to the nth degree to ensure that these homes are the stylised, instinctual extension of effortless, modern living. To bring this vision to life – a vision of intuiting the lives that will unfold from within these walls – just as much consideration has gone into curating the perfect team to execute this vision. During this extensive conceptualising process, what quickly became apparent was that, just as important as the larger and perhaps more obvious components of design were the smaller details that are what truly adds that element of genuine luxury to a home. Adding MadeMeasure and Designstuff to this incredible array of visionaries ensures that these underlying details have been given the same scrupulous level of attention as the more blatant components. Distinguished by this inspirational collective of innovators, Pine Ave is the uncompromising result of just what happens when you unite a team of mastermind creatives and engineers and give them the uninhabited ability to do exactly what they do best. Before you depart for the day, be reassured that you’re looking your best by taking a quick look in the mirror located near your front door. 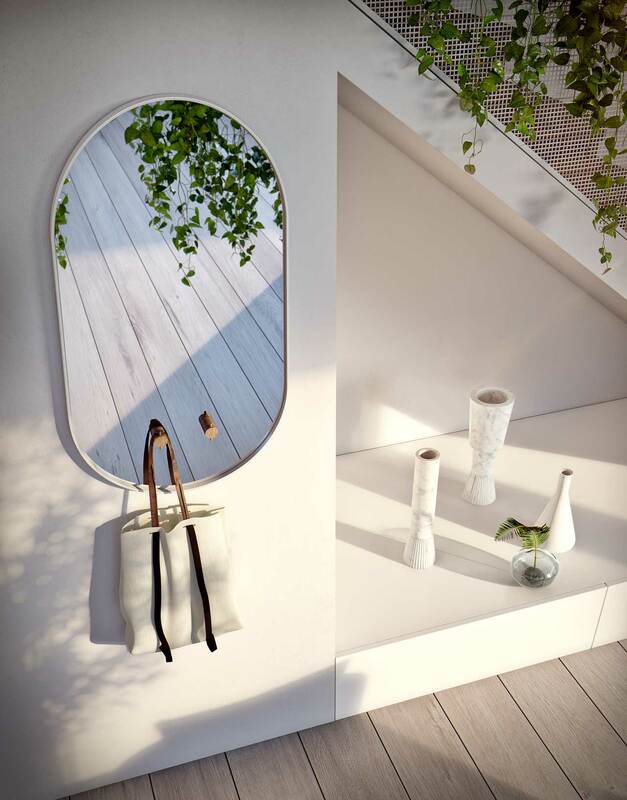 Hooks are built into the mirror to provide smart and easy storage for bags, scarves, keys and the like. It’s also a crafty visual prompt, so you don’t forget anything when you leave. 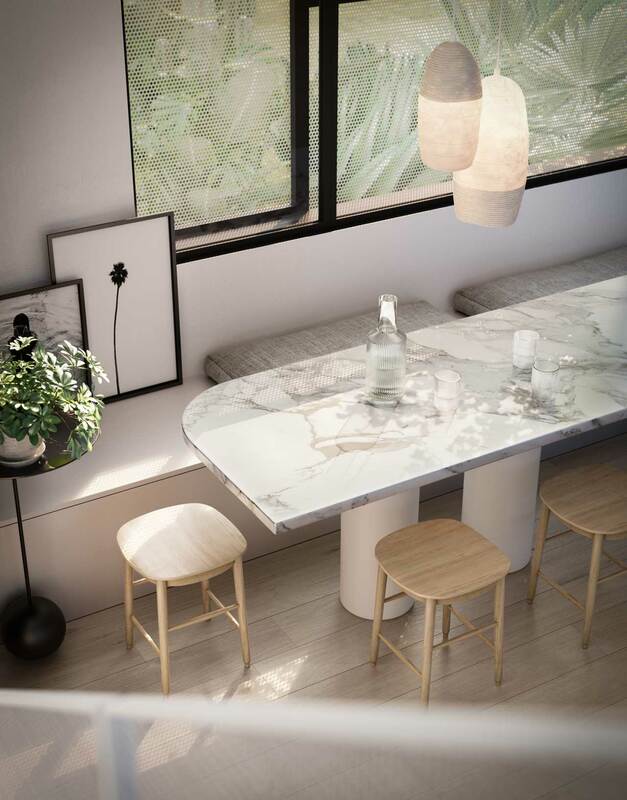 Reflecting the cafe culture that is integral to Elwood, Pine Ave’s bench seating provides a modern and relaxed dining situation, whilst doubling up as a clever storage solution to stow away linen, kids’ toys — or whatever else you would like out of sight. Curate trends of the season by customising your chef’s caddy. 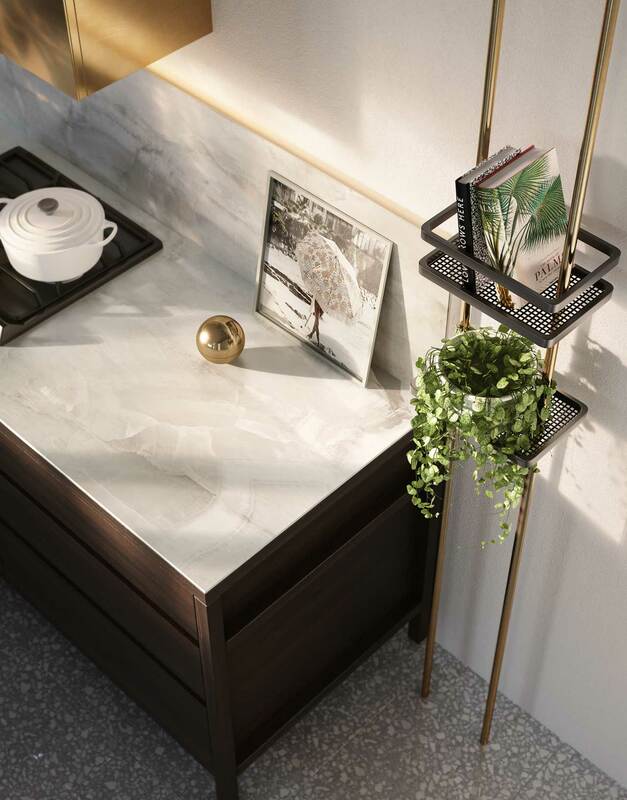 Made with brass and black steel, it’s incredibly durable, so, you can store cookbooks, seasonal herbs as well as plants, crockery and other pieces you choose to feature in your kitchen. Traditionally, townhomes will either back onto or face another in a project, meaning that only one end will have windows, while the other is a solid wall. While this might not be something you consciously consider when entering a home, the luxury of air being able to flow naturally from one point to another acts as natural temperature control. With operable windows on both sides of the homes, the option to open up when a cool change finally breaks and feel the almost immediate plummet in temperature without artificial interference is not only a sustainable option, but imbues spaces with a fresh, organic energy. Perhaps one of Pine Ave’s most distinct features is the individuality that the homes hold. Although in a collection, the fact that there are just eight residences reaffirms the feeling that you are in a standalone, private home. This sense of inimitability is in no way accidental. 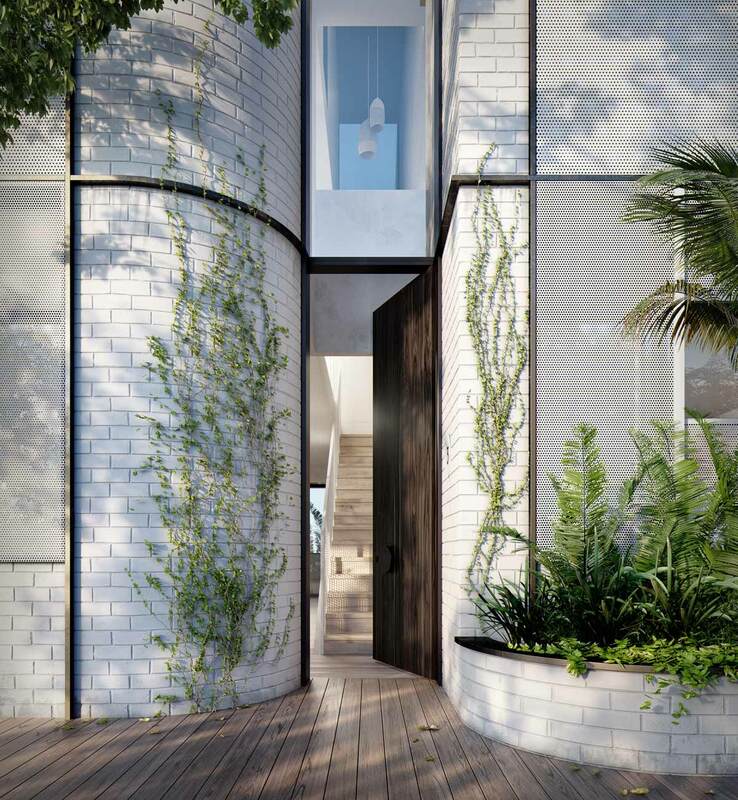 Conscious of the incredible sense of pride and satisfaction you receive when arriving home, walking down the familiar and individual path that carries you to your own door, ensuring that this feeling rang true for each resident was a big factor in the design process. 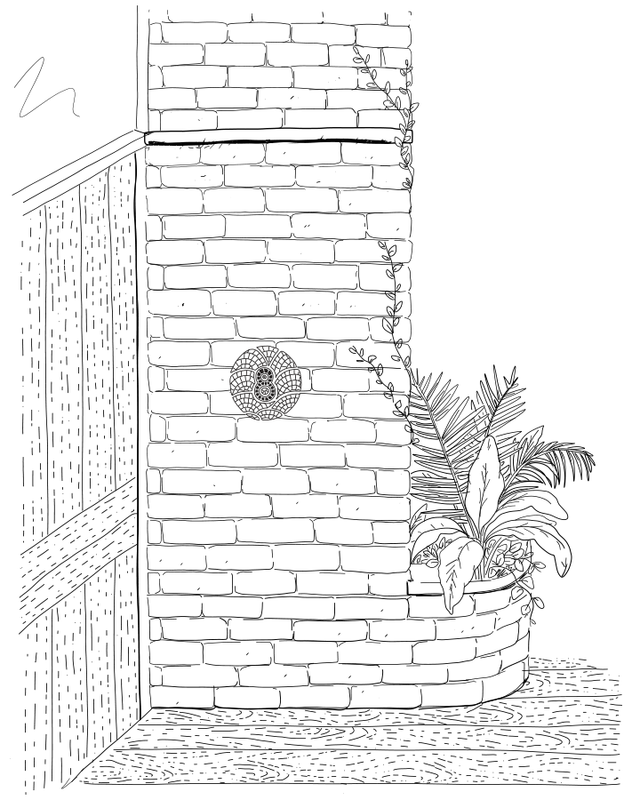 Each home offers its owner a separate and immaculately designed entrance, strengthening this theme of individuality. 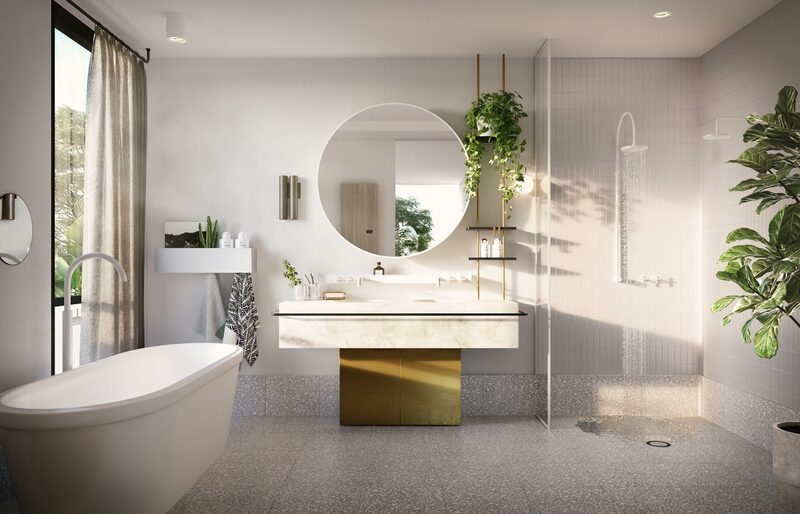 Timber paving, curvaceous lines, lush garden beds and an exquisite, handcrafted mosaic tile titling your dwelling’s number, every journey to your door will induce that same giddy feeling of ‘coming home’. The kaleidoscopic beach boxes that line the foreshore are a longstanding symbol of Melbourne’s bayside prestige. They have stood for generations as icons of the community’s love affair with style, and the beach. While revered for their heritage of affluence, at their core, beach boxes are beacons of convenience. A handy little hub to store all of your needs for a day out in the water, without having to lug everything to and from the shore. 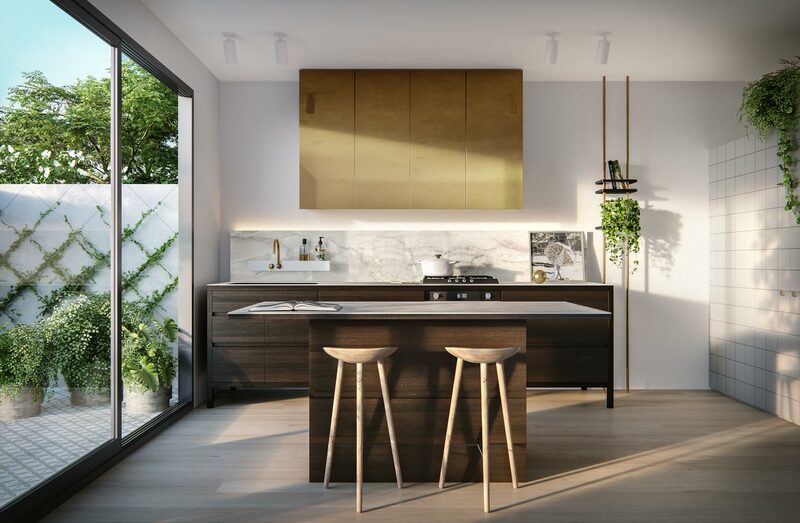 Considerate of the less-than-impressive storage provisions typical townhomes offer, our storage rooms – what we, in a nod to Elwood’s heritage, have also termed as “beach boxes” – are almost unbelievable in their storage provisions. Towering 2.2 m high and constructed in solid materials, the shell has been left completely sparse to allow you to create shelving solutions that will work best for your individual lifestyle demands. For instance, if you’re a surfer, adding board hooks is a wise option. A snow bunny perhaps? 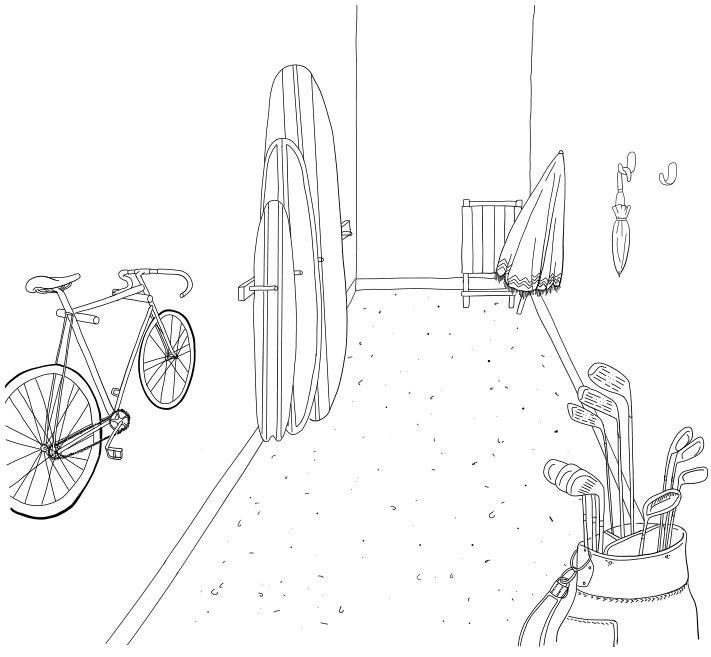 There’s more than enough space to have all your ski gear neatly stored. Even if adventure isn’t your forte, the beach box offers the ideal spot to pack up the kids’ old toys, or to keep your luggage tucked away. One of the features that we kept returning to when designing these townhomes, was the ability to offer residents unparalleled storage opportunities. We needed to find harmony between style and storage capacity, while emulating a sense of elegance. Adding inclusive fixtures to spaces ensured the provision of adequate storage, without compromising the quality of the design. 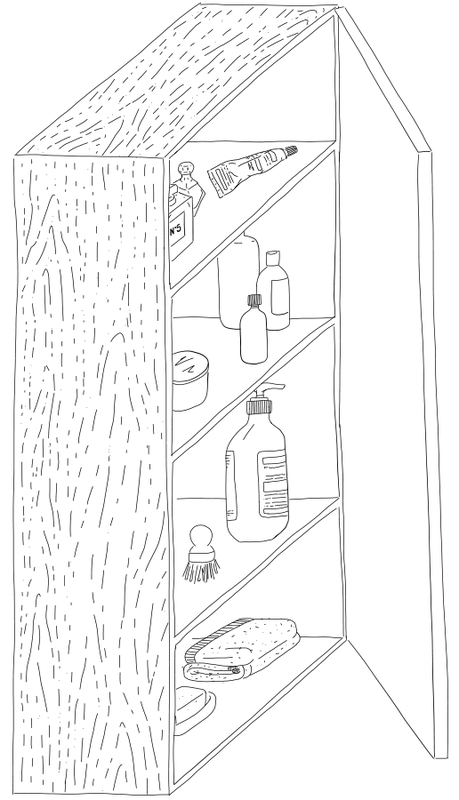 A solution in bathrooms has been these beautifully designed medicine cabinets that, while sitting sculpturally on the wall, create an additional home for toiletries. Crafted out of timber, the cabinet is an incredibly generous 1,000 mm tall, 400 mm wide and 200 mm deep, and features adjustable internal shelving; the ideal hideaway for all those little things that all too often clutter your vanity.